We’ve just updated the MyGovCost calculator to incorporate all the new federal government spending that President Obama has proposed and the Congressional Budget Office really anticipates in the future! What we found in doing the analysis for the latest budget is that much of what President Obama has proposed is something of a smoke and mirrors exercise. For example, President Obama’s budget proposal estimates that nominal GDP will grow faster than what has been predicted by the Congressional Budget Office, to where the entire U.S. economy would be 1.2% larger in 2020 than what the CBO anticipates it will be using economic growth rates that are more consistent with what we’ve actually experienced in recent years. To get to that level that President Obama forecasts, the U.S. economy would have to grow far faster on average than what it has averaged throughout the entire post-Great Recession economic recovery that has occurred during his administration, while at the same time, completely avoiding any new recession. These higher forecast GDP figures ‘boost’ President Obama’s predicted tax collections, which then make the future deficits that would result from his spending proposals appear smaller. For what it’s worth, President Obama’s forecast for those tax collections suggests that he expects they will rise far faster than GDP growth and as a percent share of GDP, will reach a level of 19.8% of GDP, which has only been seen once before, during the peak of the Dot-Com Stock Market Bubble back in 2000. By contrast, the CBO forecasts that tax revenue will range between 17.9% and 18.3% of GDP, which is high, but at least is far more consistent with the typical range of 17.5% to 18.0% of GDP that actual tax collections have mostly fallen within since the end of World War 2. President Obama needs to play games with the numbers because he proposes some remarkably higher spending in the future than what he projected in his previous budget proposals. Speaking of which, one line item that really stood out in President Obama’s Fiscal Year 2017 budget proposal is the one for Health Care Services, which primarily encompasses expenditures related to Medicaid and additional costs driven by the Affordable Care Act, which is more popularly known as ‘ObamaCare’. Here, we compared how much money President Obama proposed to spend in the years from 2016 through 2010 in his FY 2016 budget proposal with the same years in his new FY 2017 budget proposal. Adding up the amount of money that would be spent in the period from 2016 through 2020, we found that in FY 2016, President Obama proposed spending a total of $2.71 trillion, while his FY 2017 proposal totaled up to $2.82 trillion worth of spending over the same five years. That is an overall increase of $111.8 billion, or 4.1%, above and beyond the amount of government spending for health care services that President Obama proposed spending during this period of time only a year ago. This proposed increase demonstrates how badly President Obama either forecast or deliberately misrepresented the costs for sustaining the Affordable Care Act in the future. But what will all this mean to you? 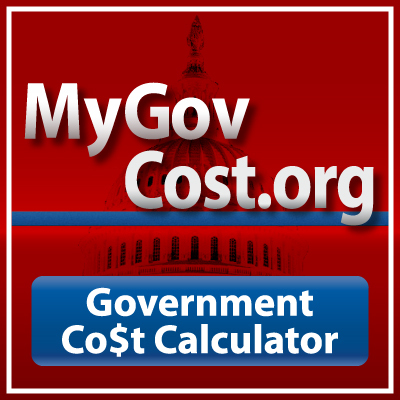 MyGovCost’s Government Cost Calculator is designed help taxpayers get a realistic sense of how the U.S. government’s finances affect their bank accounts. In addition to providing a lifetime tax estimate, it enables U.S. taxpayers to see how much of their tax payments go toward various federal spending categories. 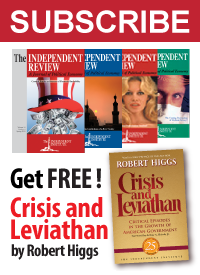 It also enables them to see what they would have earned if the amount they paid in federal taxes had earned them the stock market’s historic average return, rather than going to the tax man. Better still, the MyGovCost’s Government Cost Calculator can be accessed anonymously by anyone at this site, which also includes a free app that users are welcome to download to a mobile device.